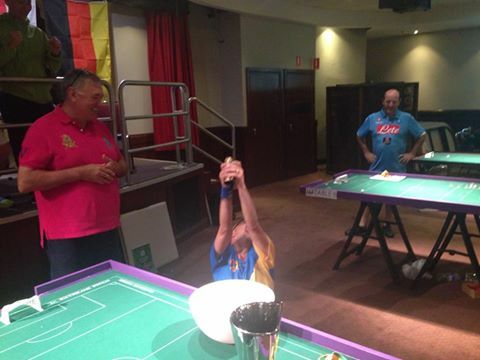 Sydney played host to three WASPA events in the lead-up and then during the Australian Grand Prix. On the Tuesday before the event, we tested out a few of the new boards, with a WASPA featuring local boy Robert Green, back on home shores for the first time in a year, as well as Antonio Carabillo from Hong Kong. In the semi-finals, Green overcame returnee Tony Credentino, who had played in the first ‘reformation’ event back in 2010, while Fabrizio beat Antonio, before losing to Green in the final. 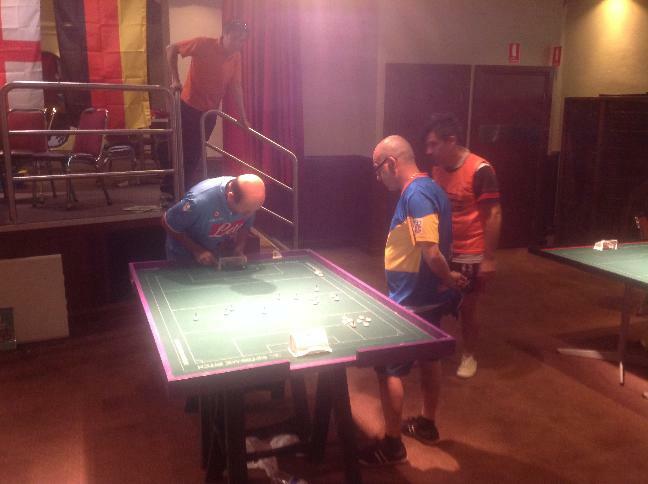 After the first phase of the AGP16, a straight knock out WASPA was staged, with a few upsets in the first round. 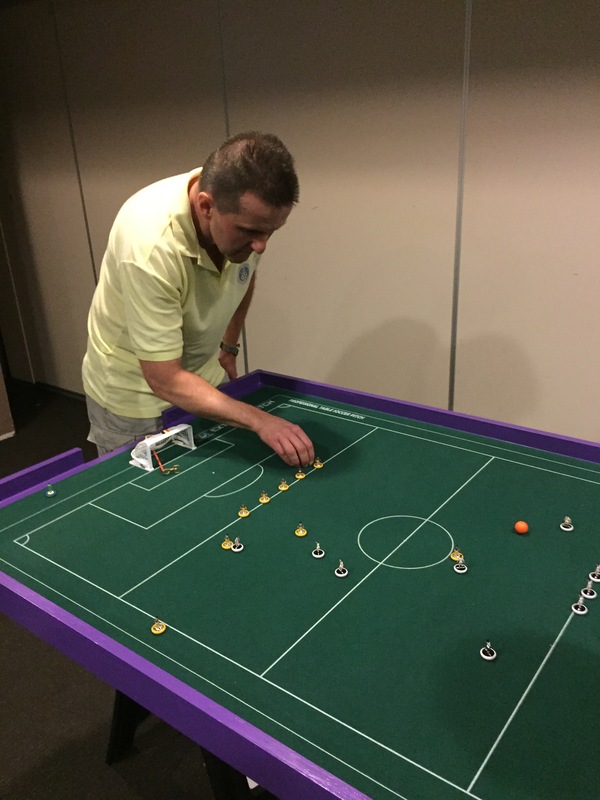 Simon Cole upset Northern Falcons club mate Steve Dettre 2-0, while Matt Barrie of Subbuteo Parramatta beat Benny Ng of Melbourne TFC 2-0. New player Jason Lockard (having played in the 90s), beat Geoff Sirmai on shots, while Adelaide’s Jez Simpson also edged through on shots against Northern Falcons’ Todd Giles. 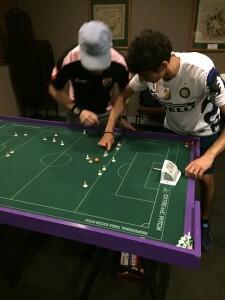 In the quarter finals, Giuseppe Tardiota of Brisbane hit his straps in a 3-1 win against Matt, while Jez’ shootout luck held as he beat Jason. 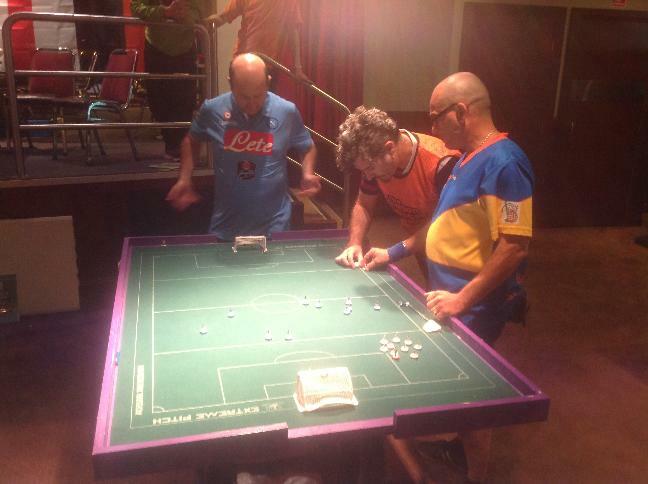 In the semis, Giuseppe beat Mike Newton, while Tony Credentino showed he was getting back into form with a 1-0 win against Jez. In the final, after 1-1 at the end of regulation time, Giuseppe claimed the title on shots, his first WASPA victory at a FISTF event after three previous losing finals! On the Sunday, a few players who were not in a team conducted their own WASPA, with Matt Barrie, Paul Magee, Giuseppe and Tony fighting it out over two rounds of group matches before Matt grabbed a 2-0 win against Paul in the final. 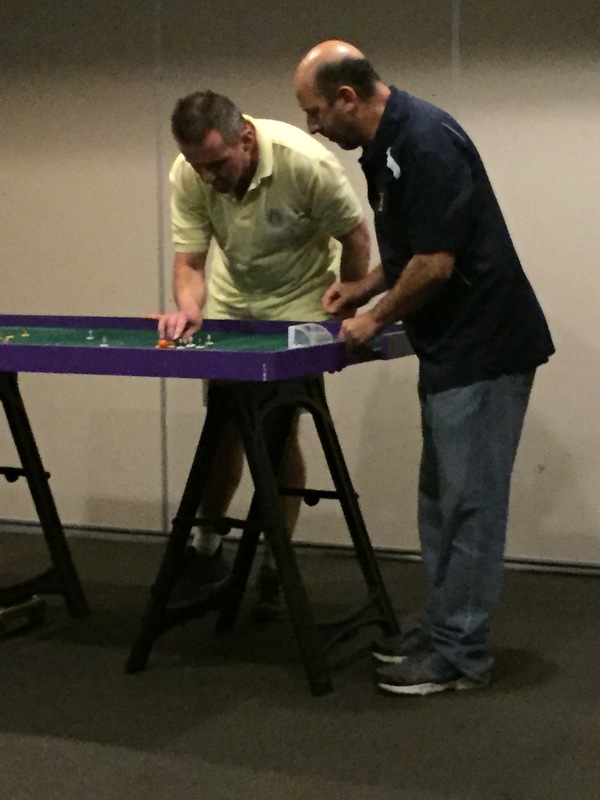 Once again, the WASPA events proved invaluable as warm up competitions, and also to provide players with as many matches as possible over the course of the weekend!! This entry was posted in News and tagged australian grand prix, australian grand prix 2016, waspa on 31/01/2016 by Steve Dettre.